A Parent’s Guide to the Physical vs Digital Game Debate! The video game marketplace is very different now than it was when many of us where kids. We remember things like strolling through Blockbuster to rent a game for the weekend or wandering around Toys’R’Us looking to purchase a new game with birthday money. That world is all over now. Blockbuster was all but dismantled by Netflix. Toys’R’Us is closing its doors. And you don’t even have to leave your house to buy games anymore thanks to digital storefronts. The rise of digital marketplaces has brought with it a great debate between gamers who will only purchase “physical” games on discs and cartridges and those who will only buy them digitally. Both sides of the battle have their merits, but it can lead some parents very confused. This is especially true for those of us who remember when buying games was simple. “Physical Games” are games that are purchases in a retail store or purchased through on online retailer. The game itself is stored on either a disc or a cartridge. You might be able to download additional content for the game online, but the bulk of the game is available on the physical media. “Digital Games” are games purchases entirely online. There is no disc or cartridge at all. Instead, you simply buy them game from a digital marketplace and download it to your device. Most of us are used to this model on our phones and there are some games that are only released digitally for consoles and for PC. But, the truth is that just about every major video game is available for digital purchase. Used Games – The strongest case for physical games is that you can purchase those games used at a lower price. This is a fundamental part of the games industry. Buying and selling used games is keeping Game Stop afloat and has been for years. Sharing – Physical games aren’t locked to a specific console so they can easily be shared with friends and family. Trading/Selling – Physically purchased games can be traded in to game stores like Game Stop or sold second hand. Durability – Physical game cartridges and discs can be damaged, lost, or stolen. Cheap Games – The games can be deeply discounted because they don’t need to be sold at a price that includes the cost of the disc or cartridge it is stored on. Availability – Digital purchases allow you to have access to a game at all times. This is a pretty big deal for handheld systems like the Nintendo 3DS or the Nintendo Switch. You’ll have those games in your library everywhere you go. Ownership vs Licensing – You don’t actually own the games you buy digitally. Instead, you are purchasing a license to download it and play. This means that the developer or publisher can alter or remove the game from the market at any time. Non-shareable – You don’t have a disc or cartridge to loan, trade, or give away. Download Size – Many modern games take up a LOT of space because of their large file sizes. Hard drives that come built in on modern consoles don’t have unlimited space. One of the largest and latest crazes for kids is STEM, which is the incorporation and integration of Science, Technology, Engineering, and Math (all high demand subjects). STEM also furthers the develop of innovation, critical thinking, and problem solving. 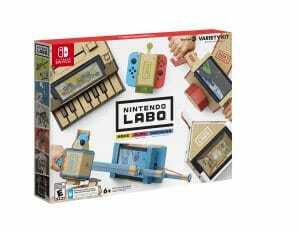 Nintendo appears to be dipping its toe into the STEM realm with their newly announced Nintendo Labo kits. 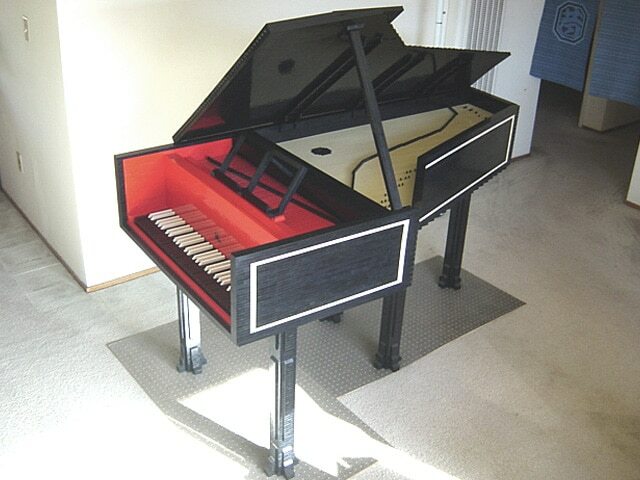 They have two kits available for pre-order right now; the Variety Kit which includes: fishing pole, toy house, motorbike handlebars, two RC cars, and a 13 key piano. The second kit is the Robot Kit which allows you to build a backpack harness that controls a robot. The variety of these kits allow for a diverse range of exploration, discovery, and connecting to technology. 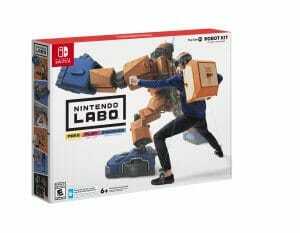 The Labo kits announced from Nintendo are the latest foray into STEM with an intriguing technology component. These kits are not advertised as STEM on the Nintendo website, which is a wise move on their part. 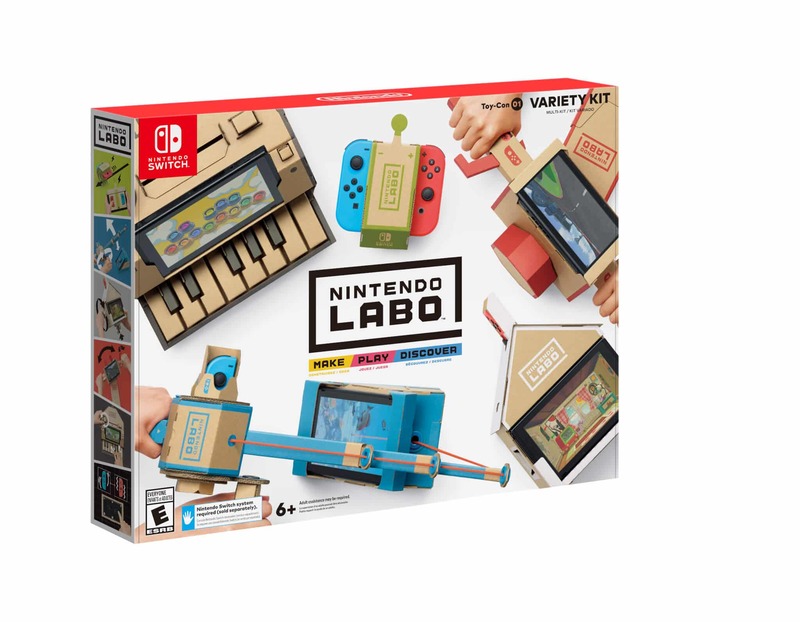 These Labo kits are not STEM in the ideal educational model. They don’t meet the definition because they don’t provide an opportunity for the child to design and problem solve. Ideally in a STEM activity, materials are provided and the child has to determine how to build the item. 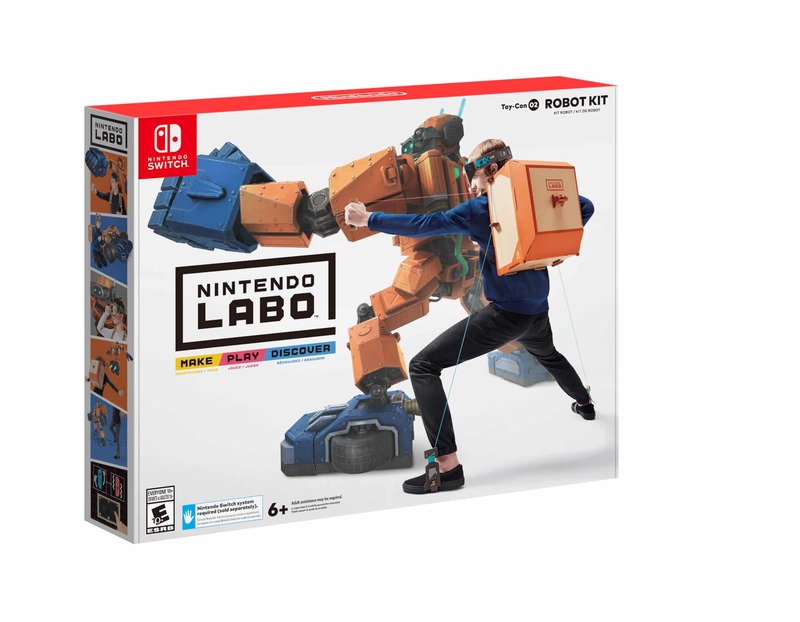 With that said, the Labo tagline is “ Make, Play, Discover.” This cuts right to the core intention of STEM. 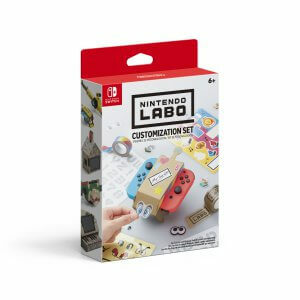 First, the kits allow the children to construct items which turn their joy-cons into “toy-cons”. Then they can learn about the engineering and technology involved. They may not be STEM kits in their purest form. But they have great potential. They let kids see how these cardboard objects are interacting with the different technological components in the Switch. This is a great fit for children who enjoy building. 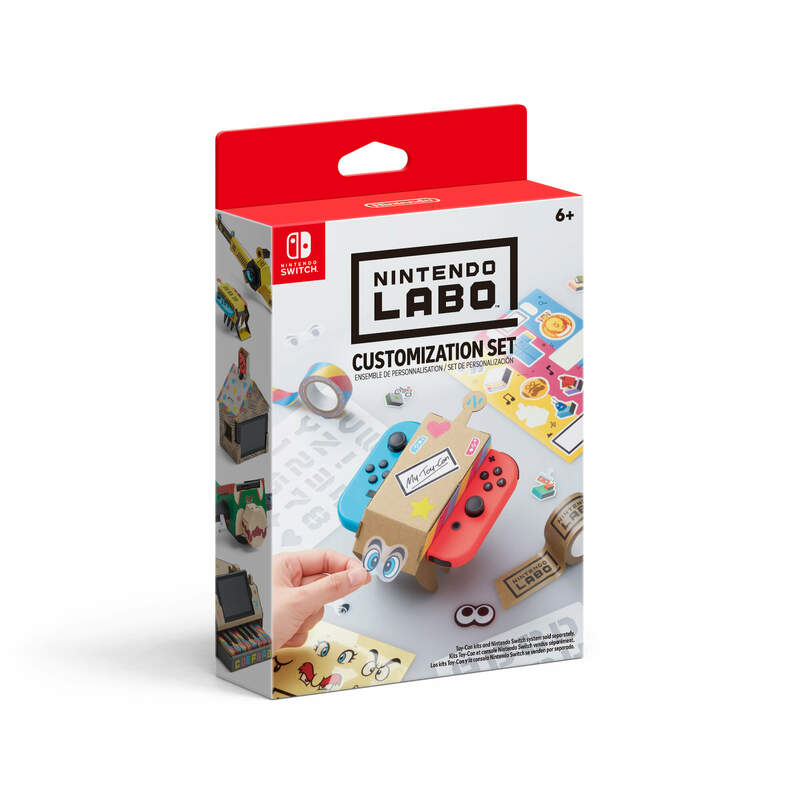 Labo provides kids with the opportunity to explore the mechanics of how each toy-con works. Then using the software, they delve deeper into how each item utilizes the Switch technology. Nintendo states that there also is the ability to create beyond what is in the kit, and that creation is at the heart of STEM. With the Nintendo Labo, building is a one shot experience. Additionally, sharing among siblings may provide difficulty, especially for the robot. I have reservations about the durability of the cardboard, however, being cardboard a resourceful parent to child potentially could remake the creation. The kits incorporate another level of play into the Switch that is far beyond solely interacting with the software. We may be seeing the next stage of technology integrating into kits for children. There have been kits to build robots for years. To incorporate the interactive technology that the Switch provides takes these STEM kits to a whole other level. While the complexity of the software of the Switch is undenied, I wonder if this will be the beginning of more interactive DIY kits. Ones that incorporate the technology we already own, such as our phones. Overall, I am cautiously optimistic that Labo will be a great STEM experience for children to compete and enjoy with their families. We will have to wait until April 20th when it launches and then can see for ourselves once it is in the hands of our kids. We have been waiting for a sequel to the Pixar Mega-hit The Incredibles for far too long. Fortunately that wait is nearly over. The sequel, simply named Incredibles 2, hits theaters this year on June 15th and we now have a plot synopsis and a cast list! If you’re OK with some spoilers, then read on! Otherwise, I’ll see you at the movies on June 15th, 2018! What do you think? Are you excited? Sound off in the comments and let us know what you think! 2017 Holiday Gift Basket Giveaway! The board game market has been growing at a rapid pace for a while now and the last few years have been especially good. Take a look below for our recommendations for board games to share as gifts this year! Hoagie is a fun, quick paced, and lighthearted card game great for anyone ages 5 and Up. In this game you are building a 5-piece sandwich and trying to spoil the components of your opponent’s sandwich. The pictures on the spoiled food and special action cards are gross in a silly cartoon way, and are not excessively disgusting or scary, rather Hoagie has a level of gross that kids and adults will find entertaining. The first complete sandwich unspoiled wins. This game is great for the whole family and can be taught in minutes. There is some strategy to Hoagie, but there is enough random chance it really is anybody’s game. Tak is an abstract strategy game similar in play to Chess, Go, and Mancala, recommended for ages 12 and up. It has simple rules, looks beautiful and is easy to play, yet has complex layers of strategy. Players use beautiful wooden pieces to build a road from one side of the board to the other. The concept of Tak originated in the second book in The Kingkiller Chronicles by Patrick Rothfuss. For any fan of the series or of fantasy in general to connection to literature is an intriguing extra layer to the game. Pairing the game with the novels is a great gift set! Imhotep is a beautiful Egyptian themed game. Players use wooden blocks as stones to “build” different ancient Egyptian structures. The game is designed for 2-4 players ages 10 and takes about 40 minutes to play. Imhotep has an alluring aesthetic to draw in younger gamers, and the Ancient Egyptian theme has a great deal of appeal to a wide range of ages. This is a game that is easy to learn, but has a deeper strategy that is much more challenging. Imhotep was also a 2016 Spiel des Jahres nominee. Lanterns is a tile laying game which also incorporates color matching and set collecting. Players are decorating the lake for the Harvest Festival in Imperial China. Players collect cards based on the color lanterns that are oriented towards them on the lake cards. Players then cash in sets of the lantern cards to make a dedication. These dedication cards each have a number, and the player with the highest number of dedication points at the end wins. The game is beautiful as you expand the lake covered in lanterns as tiles are added. Gameplay is very easy to learn, and the easy steps on each turn make this game great for the whole family. Seikatsu is a visually beautiful and serene competitive token laying game. Players lay tokens with birds on them and the token is bordered by flowers. The objective is to gather flocks of matching birds, and to line up rows of matching flowers from the perspective of their pagoda. A significant amount of strategy is needed to balance these two objectives. The components of the game as well as the the board are gorgeous. The game is for 1-4 players and is recommended for ages 10 and up, though it ages down well. The game is very easy to learn and has a good combination of luck and strategy infused into the gameplay. Monopoly Gamer is a must see for any Nintendo fan. Not only is the Nintendo elements infused through the game, but the gameplay is vastly different. Power-ups have been added to the game and give players the ability to collect coins, force opponents to drop coins, and move forward. Instead of paper dollars, coins have replaced them, and are used for everything. Passing Go now has player activating Boss Battles, and these Boss Battles will reward the victor with additional coins for the end of the game, as well as some fun treats like a free property, or stolen goods from an opponent. Finally, Mario, Peach, Donkey Kong, and Yoshi come with the base game. Other characters can be purchased through a $3.99 character pack, which comes with the board figure, a sticker, and the player card with the character’s abilities. This game is vastly different from versions of Monopoly in the past, and is worth a look. Kingdomino , the 2017 winner of The Spiel Des Jahres (The Game of the Year), combines the universal simplicity of dominoes with kingdom building. Players draw domino shaped tiles and lay them out in their 5×5 block kingdom. The goal is to sort their kingdom to that they have large contiguous biomes (lakes, forests, etc) to earn points. The gameplay is quick, easy to teach, and the game ages down very nicely. Harmonix is well known for being the company behind the music game genre in video games. They are bringing their expertise to play in a video game/board game hybrid called Drop mix now. Dropmix is built around a series of cards that each represent the different pieces of a song that are mixed together. One card might represent the drum line to Cary Rae Jepson,’s “Call Me Maybe” while another card might represent the rhythm track from a song by The Roots. There are multiple game modes available. One of them is a free play mode that turns players into a DJ. Another is a battle mode when players place cards down of various colors to try to be the first to play fifteen cards. All of the game modes are interesting, and all of them allow for some very interesting card combinations that result in sweet music. Googly Eyes is a Pictionary style game with a twist. The artist during each turn has to put on a pair of whacky glasses that distort their vision while they draw. Families that find games like Telestrations , but have been craving a different experience will want to check this one out. Square Up is a fast paced puzzle games where players slide tiles around the game board to be the first to match the color pattern in a special cube shaker. This is a great puzzle toy that will be perfect in competitive families. It comes at a relatively low price point too! Be sure to take a look at our other Holiday Gift Guides for 2017! There were a lot of awesome games that came to the PlayStation 4 this year. Take a look at the games we recommend for Holiday gifts this year! Arguably the best game of 2017 for young adult gamers. Horizon: Zero Dawn is a story of life and struggle over the remnants of a future civilization. Robotic animal creatures roam a landscape filled with the remnants of a fallen civilization. Players experience the story of Aloy, a young woman trying to survive and understand the great tragedy of her land. I linked the Complete Edition above. It will be coming out on December 5th and will include the DLC pack that is launching in November. Everybody’s Golf is a casual golf game that the whole family can play. You create goofy characters and play on relatively wild courses. The action is simple enough that just about anyone can play with a little practice. The $40 price tag doesn’t hurt either. Crash Bandicoot was Sony’s attempt to compete with Super Mario. He never quite succeeded in supplanting him, but there are a lot of people who look back on his games fondly. The N-Sane Trilogy is a collection of the first three Crash Bandicoot games that have each been lovingly remade from the ground up and made available in a $40 collection. Kingdom Hearts 3 is coming soon. (They say its coming next year, but I’ll believe that when I see it.) Players need to get ready for it and this is a collection of every meaningful game in the series so far. A sprawling tale about the never ending cycle of war and intrigue. FF12 is the last game in the series from the PS2 era and was recently re-released for PS4 with an HD upgrade. Zodiac Age is the smooth update and rebalancing of an already great game. It even includes some features that never made it to the States on its initial debut. Be sure to check out the rest of our holiday gift guides for 2017! Nintendo has had an awesome year. The Nintendo Switch is selling like crazy, and they haven’t really released a bad game yet. Take a look below for our recommendations for Nintendo Switch games that will make great gifts! You can read my review to see exactly what I think about this one at length. I feel, strongly, that Breath of the Wild is the best game that Nintendo has ever made. This is an game that will give your family hundreds of hours of enjoyment. I can’t recommend this game enough. New Super Mario games are rare. It isn’t out yet, but I played Super Mario Odyssey at E3 for ten minutes and I was sold afterwards. The biggest new feature in this 3D Mario adventure is Mario’s hat. Its been possessed by an ghost named Cappy. Cappy gives Mario the ability to capture enemies (and other characters) in the various levels and use their powers to help complete puzzles and locate Power Moons. Splatoon was one of our favorite games last generation. We had our doubts initially, but there was no way that we were letting an shooter that’s appropriate for kids slip past us. I wasn’t sold initially, but I played for an single hour long demo and was sold. The sequel takes every part of the original formula and improves on it. Its a great gift for kids who are asking for an shooter to play, but just aren’t old enough for other games in the genre. Mario Kart is one of the biggest, and best, franchises in Nintendo history. Mario Kart 8 Deluxe is also one of the best games available on the Switch. This game will be a ton of fun for your family so buy with confidence. Nintendo even added more benefits for families by adding both auto-steering and auto-acceleration options. These two accessibility options make it much easier for younger players (or players with disabilties) to play the game. Arms is a super-cool fighting game experience where players battle it out using spring-armed warriors. Most fighting games released to date feature a camera set to the side. Arms is different because the camera sits behind the character like it’s a shooter. It is also a little bit slower since fighters tend to be farther apart. This slower and more methodical pace makes it more accessible for less experienced gamers while still leaving room for players to master it. Be sure to check out all of our other 2017 Holiday Gift Guides!